You can pretty much get any hair cut or styling that you could think of from around the world at Global Cuts International World of Barber Styling in Amherst, whether that’s highly stylized facial or hair cuts or something out of the ordinary. 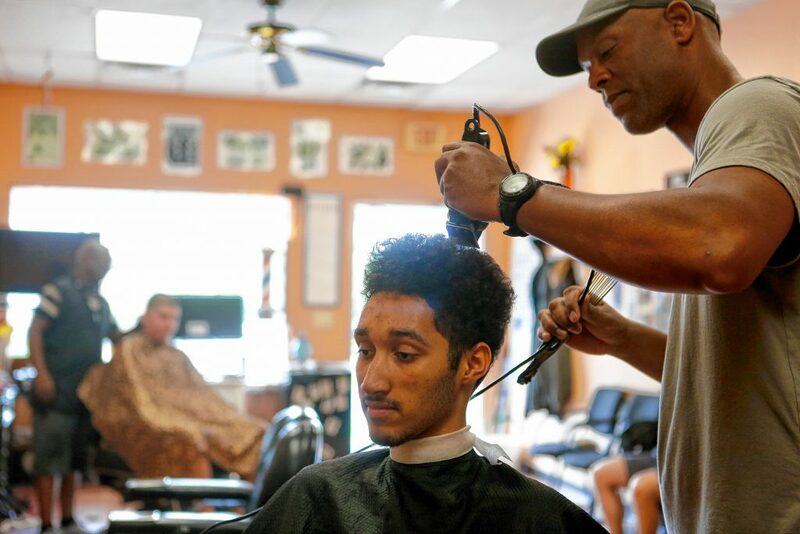 Khayyam Mahdi, owner of Global Cuts, said he’s seen everything under the sun when it comes to his professional experience as a barber and hair stylist. Everything old becomes new again in terms of hair styles. Master barber and shop owner Khayyam Mahdi, right, gives client Sean Elliott of Amherst a haircut June 8, 2018 at Global Cuts International World of Barber Styling in Amherst. Several years ago, he shaved the heads of the entire South Hadley High School Basketball team to include each player’s jersey number, he said. Mahdi said the close proximity to colleges such as Amherst College, Hampshire College, and the University of Massachusetts Amherst with international students helps drive home the importance of his mission to provide hair stylings from a global perspective. Hair is hair, no matter what ethnic background your from, Mahdi said. The tools for the job are a razor or pair of scissors no matter what the cut is, but knowing what each customer is looking for and creating that style is what’s key for Global Cuts. 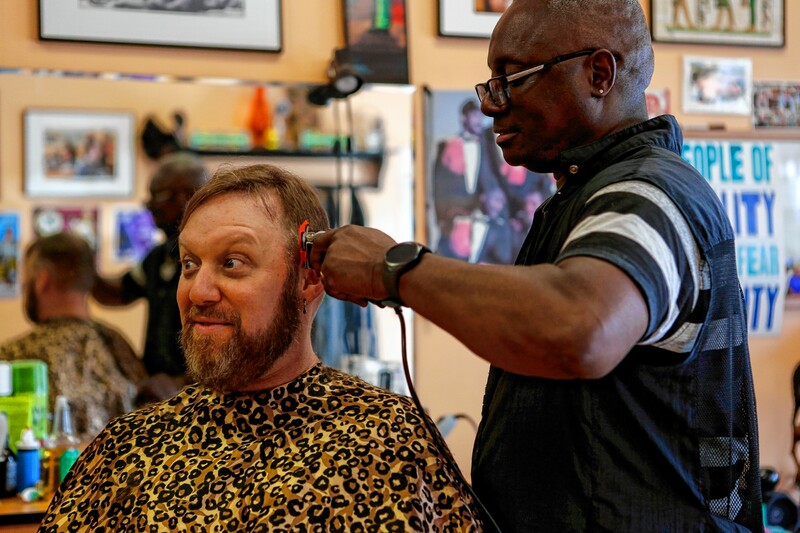 “When you’re dealing with human hair what separates you from being a professional and an amateur is the difference in knowing how to artistically apply your barbering to different variations of ethnic hair types,” he said. Popular Latino or African American haircut trends are often highly stylized, Mahdi said. “It’s a close shave with a razor lining and a lot of of Hispanics and African Americans utilize a lot of close razor techniques to be more detailed in their beard and side beard and trimming,” he said. Mahdi has been cutting hair for decades, whether it was borrowing a pair of his mother’s clippers when he was 12 or 13 years old to style his own hair or his brother, going to barber school, or his barber apprenticeship at Six Corners Barber Shop in Springfield. Hurston Mazard Wallace of Amherst, center, has his hair shaped by barber Quinn Askew of Springfield June 8, 2018 at Global Cuts International World of Barber Styling in Amherst. For Mahdi, who started his business on May 5, 1999, with a crew of two other hair stylists, Leslie Williams and Quinn Askew that continue working alongside him at Global Cuts to this day, connecting with people and other cultures through hair cuts and building a sense of community is what it’s all about for him. He said he thinks outward beauty when it comes to hair styling is just as important to men and women.